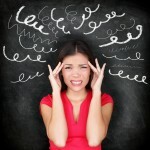 These Are The Facts You Must Know – Living with Migraine Headaches is Tough. Day after day of being miserable, irritable, and looking a lot older than you really are. The frustration of knowing that your friends and family don’t understand what you’re going through. Add this to doctors’ visits, MRI’s and CT scans — which only come back with “normal” results.And that’s not all… trying one medication after another, feeling like you’re on a merry-go-round of drugs. They tell me they’re sick and tired of jumping from one headache medication to the next. Here’s what I hear… “I am tired of being looked upon as someone who is only out there to get medicine. I only want RELIEF. I don’t know why that is so hard for people to understand. I don’t want to be treated badly anymore. I want to get help, and I want to get rid of the headaches.” Imagine being able to live life like a normal person again, pain free and without headaches. Just think about being able to play with your kids, enjoy time with friends, and not have to worry that your headache will hit you at just the wrong time. An in-depth initial consultation about your health and well-being where I will listen…really listen…to the details of your case. A second visit to put treatment plans together for you in an organized and thoughtful way. …the best ways to find and fix the causes of your headaches, …what you can do to begin to feel better right away, …the foods that can help you and which ones can make you worse, …how to exercise the right way so you aren’t making your pain worse. Numerous studies have shown the benefits of chiropractic treatments and functional metabolic treatments with chronic headache patients. Medical experts concluded that spinal manipulations resulted in almost immediate improvement for headaches. Patients also had significantly fewer side effects and longer-lasting relief of headaches than a commonly prescribed medication. Discover the drug-free, pain-free natural treatment for getting rid of your disabling headaches. Other studies demonstrate that help for headaches is available through many non-drug therapies, like nutritional and lifestyle interventions. No question… if you are having headaches then something is wrong. Pain is your body’s way of telling you something is wrong. Finding the problem and fixing it has to be top priority! P.S. – Why Suffer With Years Of Misery? How many years can your body handle taking one pill after another? That’s no way to live, not when there could be an effective and safe natural solution to your headaches once and for all. Nothing on this site is intended to be used as a substitute for advice of a physician. Do not modify your diet, exercises, or medications without first seeking the advice of a physician. Information on this site is for information purposes only. No claims have been approved by the FDA unless otherwise indicated.